Lenovo is reportedly working on its Windows Phone handset device, which is supposed to launch late next year. At the moment, we are not sure of the specs and hardware of the Lenovo handset nor are we sure about its official launching date. All we have come to know is Lenovo is preparing a Windows Phone handset. The Engadget reports that there has been “no mention of [an] international launch.” There is a possibility that Lenovo will offer its WP device in Chinese market only. 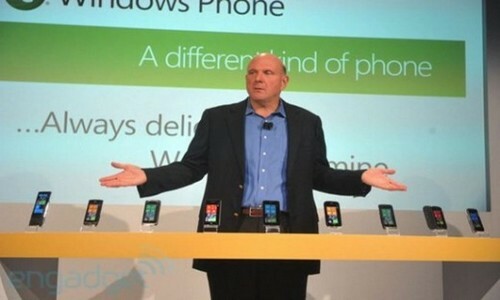 As we have already aware of the fact that Nokia’s recently launched Lumia 800 is scheduled to hit Chinese market in the coming months, so when Lenovo handset arrives, the market would already has its hands on Windows Phone. Lenovo can certainly get advantage of the presence of Windows Phone in the market by offering its device cheaper than Lumia as well as with a support for Microsoft’s upcoming Tango version of WP7 OS. If we look at the past quarter, it went really good for Windows Phone as Microsoft introduced its latest Mango update, certain impressive hardware releases and improved sales. All in all, it seems that the stage is all set for Microsoft’s young smartphone line. We can certainly expect some massive figures in terms of sales from Microsoft after the holiday season. Microsoft is desperate for strong sales to keep the developers engage with its Windows Phone platform. If Microsoft fails to deliver the expected results, it could put the Redmond Company in trouble. We are trying to get more on Lenovo handset. We will get back to you as soon as we learn more about the device. Stay tuned!